For all of those with autoimmune disorders, chronic fatigue, problems losing weight and any chronic heath issue the most common factor worsening your condition, often dramatically and covertly, is an intolerance to wheat. Wheat intolerance is very common, in fact a study of a selection of patients with autoimmune disorders found that 100% had wheat intolerance. Wheat has been found to cause damage and inflammation in the gut. Inflammation then spreads throughout the body and can impact on any organ or system, including the brain. Any food intolerance can be masked, so that you are not aware of how the food is damaging you, if you have been using it habitually. The food intolerance can be found/unmasked simply by stopping the suspect food for one or two weeks to see if symptoms improve and then re-introducing them two weeks later (have plenty) and noting if an aggravation of symptoms occurs. One can spend years with various therapies and nutritional supplements and not regain full health when simply removing a single food (most often wheat) can result in great improvements in health. 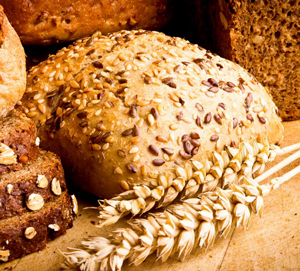 Wheat Products: Bread, cakes, pastries, biscuits, flour, pasta etc. If you habitually consume these foods then you can more or less guarantee you have an intolerance to them. M.E. Is an auto-immune disorder and as is discussed below, has all the causative factors associated with the paralytic diseases of the nervous system, such as infection (typically Candida but also others such as epstein-Bar, glandular fever) heavy metal and or pesticide retention, mitochondrial dysfunction especially, vitamin D deficiency and so on as discussed below. It certainly involves the nervous system and specifically the brain, as well as the immune and circulatory systems. There is additional aspect that has been discovered with M.E and also with more minor chronic fatigue that involves low blood pressure. This is especially noticeable as postural hypo-tension, i.e. if the person suddenly gets up from a sitting or lying position, there is often faintness or dizziness experienced this is due to inherent low blood pressure. This has been found to be at least partly due to insufficient salt (see Celtic salt also Ionic minerals and trace elements and MagSea Ionics). In some cases this may be partly due to a low salt diet, it has been found that the adrenal glands in conjunction with hypothalamus in the base of the brain, do not do their job properly in regulating the amount of salt excreted by the kidneys, and too much is lost to the urine. 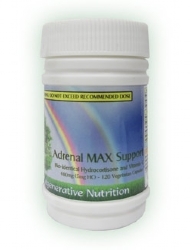 In this case supplementing with Celtic salt and or Ionic minerals or MagSea Ionics is suggested and supporting the adrenals with liquorice can specifically help retention of sodium. Symptoms of CFS include widespread muscle and joint pain, cognitive difficulties, chronic, often severe mental and physical exhaustion and other characteristic symptoms in a previously healthy and active person. Fatigue is a common symptom in many illnesses, but CFS is a multi-systemic disease and is relatively rare by comparison. Diagnosis requires a number of features, the most common being severe mental and physical exhaustion which is "unrelieved by rest," is worsened by exertion, and is present for at least six months. All diagnostic criteria require that the symptoms must not be caused by other medical conditions. CFS patients may report additional symptoms, including muscle weakness, cognitive dysfunction, hypersensitivity, orthostatic intolerance, digestive disturbances, depression, poor immune response, and cardiac and respiratory problems. It is generally understood by Immunologists that the destructive aspect of a deranged immune system where an aspect of the immune system attacks parts of the persons body, in the case of these diseases various parts of the nerves, or nerve sheaf's, nerve cells and brain cells are involved. The genetic and constitutional variations of each person are sufficient to explain why basically the same disease process will attack different parts of the nervous system, resulting in different named diseases each with it's own classic set of symptoms. The following causes will vary in significance between individuals and possibly the type of disorder. However as all the suggested treatments are non-toxic and have broad-acting nutrient effects...all the listed nutrients and herbs can be systematically/incrementally introduced as a treatment program to suit the individual. (Except with Liquorice, in very rare cases of exceptionally high blood pressure-not ordinary high BP and pregnancy). This factor is always present and is usually connected with the other causes, e.g. mercury and pesticide toxicity and Candida infection can keep the immune system in a state of imbalance, producing auto-immune reactions. There are however, herbs that can insignificantly turn off the auto-immune destructive reactions that maintain the disease. These herbs include Liquorice and Kallawala(Polypodium leucotomos). Also, colloidal silver (used to fight the infections) has some immune regulatory and healing effect. Please click here to read essential new information on Liquorice dosage in relation to adrenal hormone support (adrenal insufficiency, hydrocortisone and steroids), low blood pressure, fatigue, asthma and all other autoimmune disorders. And any neurotoxins the person may have had exposure to in the past. These can be eliminated in a few weeks or months using nutritional combinations such as Deep Cell Detox (DCD). Most persons, especially the chronically ill have absorbed, over their lifetime, sufficient heavy metals and other toxins to contribute or even to be the actual 'final straw that broke the camels back' that lead to the disease. Most common sources of acquiring heavy metals for example is via dental fillings containing mercury. It has been and shamefully is, still the common practice in many countries (some countries have now banned them) to be given fillings with mercury as the major component, unless you specifically request non-mercury fillings. The mercury amalgam fillings slowly gas off mercury for their entire life in the mouth and much of this is directly absorbed into the brain. Another shameful source of the extremely toxic mercury is via injections, such as flu injections ("I never felt right since my flu injection" is a common experience) and even worse into young children and babies as vaccinations. The destructive aspects of the mercury absorbed could take years to manifest into a recognizable clinical disorder, such as MS, or could precipitate quite rapidly in susceptible children, autism. I ask myself why this shameful practice continues when there is massive scientific data to demonstrate the dangers of chronic mercury poisoning. It is ostensibly used as a preservative in vaccinations, yet there are many safer preservatives available. Are they deliberately trying to kill us ? Or is it, that to admit liability would bankrupt pharmaceutical giants and governments along with them, in medical negligence claims ? Another common example of a chronic poison precipitating chronic disease including chronic fatigue (and Progressive Paralytic Diseases of the Nervous system) is organo-phosphates. These are regularly sprayed onto crops (And is also used in household spays for killing parasites e.g. fleas) If you live or have lived in a crop spraying region for any length of time then your exposure could be high. Organo-phosphates are proven neuro-toxins. For persons with a poor ability to eliminate these, they can build up in the tissues and at some point, possibly years later contribute to all sort of diseases of the nervous and immune systems. This often includes Candida Albicans fungal infection (usually induced by anti-biotics killing the beneficial bacteria in the gut and or low immune system plus poor dietary choices/lifestyle etc. Other infections can also be relevant both known and unknown e.g. Micoplasma. All types of infections can be eliminated with non-toxic remedies that do not kill beneficial bacteria such as Colloidal Silver. This has the tremendous advantage that it alkalises, therefore increases oxygenation, counteracts free radical attack and damage and therefore undermines the basis of disease. It is also directly 'anti-septic' against fungal infections, including Candida and possibly all harmful micro-organisms and parasites, although there is not enough information on this, we do know that all anaerobic infections (All the harmful ones) are attacked by free electrons that Alka- vita supplies and are eventually destroyed or severely limited by an alkaline environment. Alka-Vita is also a cost effective form of treatment. 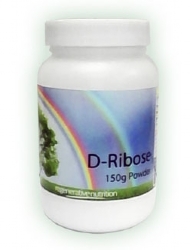 Eliminates infections of various types, known and unknown that contribute to auto-immune disorders. Eliminating chronic infections is essential to achieve freedom or at least amelioration from your auto-immune disorder. Colloidal silver will, if used over a sufficient period of time wipe most chronic infections that go along with virtually all cases of auto-immune disorders. It also has its own calming effect on auto-immune reactions. Colloidal Silver comes as a water based spray, and by spraying in the mouth every hour or so, the need to purchase large amounts is eliminated. 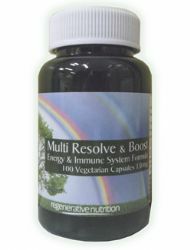 To help strengthen the correct side of the immune system, help cell oxygenation (by normalising mitochondria) and provide broad-spectrum nutritional support, in turn helping to prevent the return of the chronic infections, we recommend (live cell) Immunocomplex, for full article click here. See also, the Article concerning Mycoplasma Infectionsand their link to chronic disease. This vitamin can often be deficient due to absorption and assimilation issues as well as dietary ones. It is discussed in detail in the article Vitamin B12. 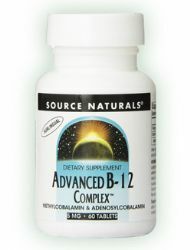 High dose vitamin B12, in a form that crosses the blood brain barrier easily is recommended i.e. methylcolbalamin. 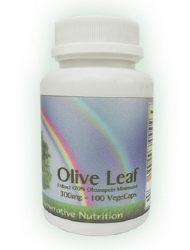 This is non toxic and is available as a sublingual lozenge, so that intravenous injections are not required. Whilst not strictly a cause, it's deficiency being widespread, it is such an important nutrient overall and especially important for nervous system functioning, it's use in these disorders is a sensible contingency to optimise the chance of the most rapid recovery. Not only does it improve functioning of the nervous system but can help mitigate the presence of neuro-toxins like heavy metals etc. High dose skin application of magnesium chloride liquid (MagSea Pure) is available. for full article click here. By using MagSea Ionicsliquid, added to water we can more gradually resolve magnesium deficiency and also supply a full range of Ionic mineral and trace-element salts. Every cell in the body has little mini-cells inside, these are responsible for the overall cell respiration and the release of energy via the ATP cycle. The Mitochondria are easily damaged by other factors already mentioned, such as virus, heavy metals and pesticides. This results in lowered cell respiration a drop in the available energy in every organ and system in the body, including the immune system. The mitochondria can easily be returned to proper functioning by supply the correct mixture of respiratory - chain enzymes. These are produced by live nutritional yeasts bred in a high oxygen environment and are available in products Zell Oxygen and Live cell Immunocomplex. For the sensitive and delicate types we suggest using Zell Oxygen first for a month or two and then trying the more nutritionally rich Immunocomplex , that also contains the same respiratory enzymes. In the past there were reports of toxicity of higher doses. Further investigation has found that most or all of these where for Vitamin D2, ergocalciferol. Vitamin D3 or cholecalciferol is the form natural to the body. And is not toxic, in doses below 10,000 I.U. daily. This is also a factor in the development of any disease and raw fatty acids also help to integrate sunlight (Helps to prevent burning, along with other nutrients such as anti-oxidants, and bring the sun energy in the form of 'biological electrons' into the cells) A good source of essential fatty acids is raw nuts and seeds, including sunflower seeds, pumpkin seeds, walnuts and almonds. An easy way to introduce these into the diet is to grind to a powder in electric grinder and keep in tightly sealed jar for up to a weeks supply. Add about 2 heaped dessertspoons daily to food (do not cook) This can include, sunflower seeds, pumpkin seeds, walnuts and almonds, although Nuts purchased as raw may have been heat treated; One can use a raw, unheated oil supplement such as Black seed Oil. 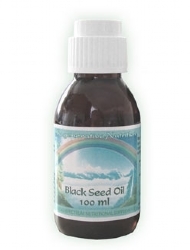 Black seed oil also has beneficial effects on the immune and general system, however hemp oil is the most balanced oil in terms of omega 3, 6 and 9 etc. (We do not supply) Consuming quality raw oils can help to dissolve these hardened fats, and return nutrient transport into the cells. The use of olive oil and coconut oil can also be beneficial, in terms also of dissolving hardened fats and arterial plaque but do not contain much of the essential fatty acids. Please note: This is a rough guide only, sometimes there are individual considerations to be taken into account, for further suggestions see Adapting to the Regenerative Process, The Core RegimeYou can also email us at enquires@regenerativenutrition.com for further advice, or telephone from U.K. 0845 512 0999 or international +44845 512 0999. To begin the elimination of infections (usually Candida infection) from gut and systemically, and also other known or unknown chronic infections that need to be eliminated before any of the other remedies can work to their fullest extent. To gradually alkalise the system. This in turn improves oxygenation and mitochondrial activity, and counteracts free radicals in the most fundamental way, by supplying free-electrons. (2) Zell Oxygen or Immunocomplexliquid to restore mitochondrial function, aid detoxification, improve oxygenation and strengthen whole system. 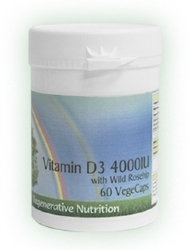 (3)Vitamin D, unless you are receiving daily exposure of Sun as detailed in article. Simply add 5ml to a glass of water. This will provide many ionic minerals and trace-elements including magnesium as Magnesium Chloride. This is essential for correct cell energy production, and hence all repair and correct function of the bodies organs and systems. The complementary opposite minerals most M.E. sufferers need is Blackmores PPMP (This can only be orded via telephone or email) - this is short for potassium and magnesium phosphate. These are the primary required ‘tissue salts’ for the nervous system. A few years ago, before M.E. was diagnosed, persons suffering from a similar condition of chronic fatigue we labeled neurasthenics, a condition of nervous enervation, they too would benefit from the potassium and magnesium Phosphate. Please enquire if you are interested in Blackmores PPMP. So, 1,2 3, and 4 are typical remedies to begin at once. 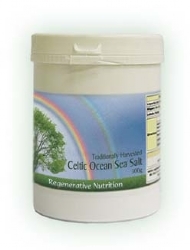 You can also from the start improve diet to the degree that you wish and introduce Celtic salt into the food. Also ensure you have the correct raw oils in your diet as detailed above. Add Immuno-calm( Kalawalla and Liquorice capsules) - unless Liquorice contraindicated, in which case kalawalla capsules. It can take a month or longer for the Kalawalla to begin to act, that is one reason for starting with this, although the supportive aspects of liquorice can act more quickly. If you are very weak or delicate and also have low adrenals it is suggested you use liquorice concentrate capsules, instead of Immuo-calm These will still help to re-balance the immune system and support adrenal function, but with less energising aspects that with Kalawalla. If mental function is poor, especially concentration and/or memory;(also paranoia and other symptoms as detailed in the B12 article) ADD Vitamin B12 Sublingual methylcolbalaminThis helps the brain to function better in the presence of neuro-toxins, these toxins will take months to eliminate, with the whole programme including deep cell detox, details given next. 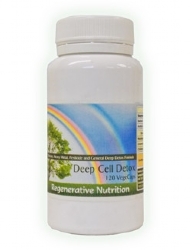 If needed ADD Deep Cell Detoxfor at least 4 to 5 months. (This is also a general high quality nutritional support). After at least 6 months, if your condition has improved and maintained the same level, i.e. no further improvement for a period of 2 months or more, then you can experiment with withdrawing the Immuno-calm. A month after this you can experiment with reducing B12 lozenges frequency, e.g. one every 4 days. Watch carefully for any deterioration in your condition, and if there is a deterioration re-introduce one remedy such as the Immucalm or B12 to see if improvement again sets in. 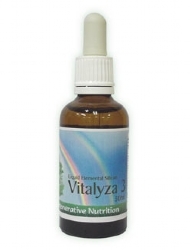 If all infections are not eliminated after 4 months, or on an experimental basis ADD Colloidal Silver liquid, to supply another tool against any known or unknown infections that may not have been eliminated by the Alka-Vita, but do keep up the Alka-Vita to continue to act as an alkaliser and anti-oxidant agent plus its other beneficial properties. Immucomplex, MagSea Ionics, celtic salt, Alka-Vita and correct raw oils are measures that are suggested be held on a permanent basis, to maintain the balance of the bodies functioning and hence well-being. Immunocomplexis not the cheapest of remedies, especially at the recommended dose of 30ml daily. It should be borne in mind that it is a broad-spectrum source of nutrients that supply almost all the B vitamins, and many other nutrients including chromium, selenium, zinc, Beta-glucans, a variety of anti-oxidants and all in a 'living' food state form. If cost is an issues then it is better to reduce the dose after a few months rather than discontinue altogether. Dose can be temporarily increased during waves of detoxification that can occur on any healing program at any time. Again we need to add that this is just a general guide for you use, you should take advice of a qualified health care professional and you can of course use your own knowledge about your own body as a guide, but it is usually good to check these out by contacting us or other health care person. The above suggested supplements are selected for their relevance to auto-immune disorders and specifically to M.E. Myalgic Encephalomyelitis/Chronic Fatigue. We have designed this program to be as simple as possible on one hand but to provide the most comprehensive program on the other hand that systematically targets all the causes of the diseases to give the best possible outcome. We have not mentioned the use of generally supportive nutrients for the system such as Vitamin C, green super-foods and so on. These are discussed in the article The Core Regime. One of the supplements discussed in the article is Multi-Green Nutrition. 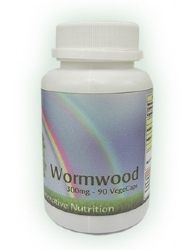 This contains vitamin C, Barley Grass juice powder, Sea greens and other nutrients, that is a sensible general support. Any gaps in your nutritional profile can reduce the healing process. It may seem a strange idea that the energy within a house could actually effect the health. The history of this knowledge goes right back too ancient times. For example in ancient China many persons would not build a house until the area was 'dowsed' by a sensitive person to see if it was suitable. The most frequent cause of a draining energy in the house is an underground stream or body of water. This is surprisingly common. Symptoms of feeling low, unwell or stressed often worsen in the wet season due to more water under the house. If a house has a history of unwell people and/or you have never felt well since living in that house, also feel better when staying away from home for a few days or more this is all indicative of geophatic stress. Installing room charger(s) in your home can initially interfere with sleep with sensitive people, but more often than not sleep improves. If you are sensitive and feel the energy is too much and you feel un-rested, take heart in the fact that the adaptation period is normally four days to about two weeks. Geophatic stress is very common in chronically ill persons. One way of determining if your overall chi is low is to have acupuncture. The acupuncturist can tell you if your overall energy or chi is low, if it is, then you will benefit from a room energiser (s). The supplements recommended for the treatment of Chronic Fatigue Syndrome are listed below. Not all will necessarily be discussed in the article, as some may have been added after the article was posted. If a listed supplement is not mentioned within the article, or you wish to know more about any of the listed supplements, you can find out more information by clicking on that supplement below. You can also now add to your basket directly from this page.